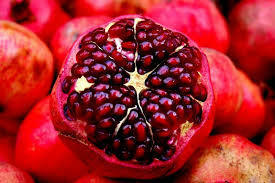 Do not over water Persimmon or Pomegranates! Water deeply and infrequently, especially when first planted (from bare-root) or in Spring. Both take a very long time to break dormancy when first planted. Otherwise both are attractive, very hardy and easy to grow and fruit. 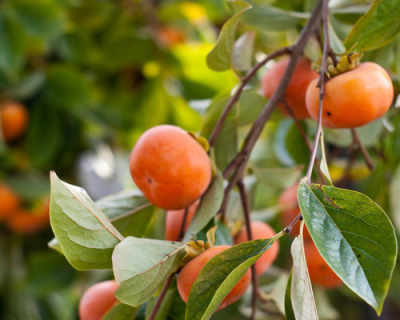 Fuyu - Most popular non-astringent variety. Flesh is sweet and mild. Giant Fuyu - Very large and non-astringent. Round with dark orange skin. mellow flesh. Astringent until soft. Chocolate - Brown-streaked fruit with very sweet flesh. Non-astringent. Ripens late October and early November. 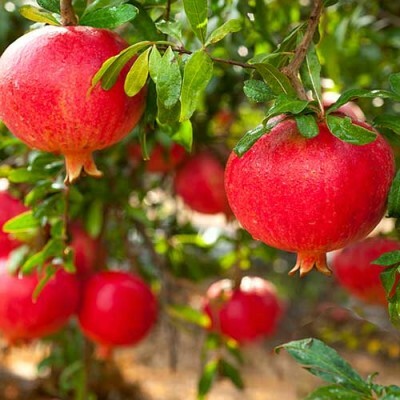 Eversweet - Fruiting pomegranate with very sweet fruit. Much less acid than Wonderful.